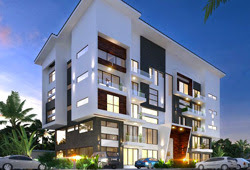 Havens Homes the celebrity home developer ( Richmond Gate Lekki ), whose home style has its own uniqueness and greandeur, the homes of celebrities and the glamourous VVIP’s who love everything grand, the California Beverly Hills or London Park Lane of Nigeria’s surburb. 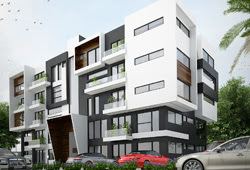 Where a 4 bed terrace could knock you back as much as N150 million naira! 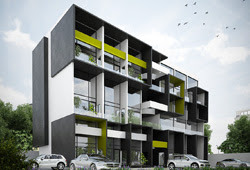 The proud home of 2face Idibia and wifey Annie, AY the comedian, Sound Sultan to name a few are proud home owners of the developer which has been around for quite awhile, has just recently launched its phase 3 & 4 development and you bet its a definite winner and a darn shame if you cant lock in now with an offer of 30% deposit and the rest spread over 18 months! 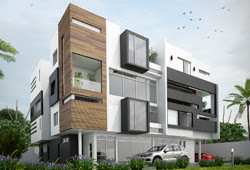 Must Check : MercyHomesUK at the 11th Abuja Housing Exhibition Show!